Nowadays, a relationship really can be quite a test—we might have to go through all kinds of difficulties. But, as Sogyal Rinpoche shows us, if we consistently apply our understanding of mindfulness, compassion and our unchanging innermost nature to our emotions and actions, a relationship can become both a cause and a part of our spiritual progress. Relationships show us how we really are and as such, they are an opportunity to learn about ourselves and to let go and change. Take a moment to be clear and honest about what you want and where you are going. These teachings might give you a better chance of making a success of a new relationship. Use your relationship to work on yourself and apply the teachings to your life and actions. Use your love as a challenge to go beyond yourself, beyond attachment, concepts and patterns and find unconditional love. The way to love is to be completely open and fearless in your love, no matter what. Letting go is a process we all have to go through, one that helps us grow as circumstances change. We can learn to accept the truth of impermanence and let the teachings hold us. Advice for Dharma Practitioners on Relationships, CDE019, an audio CD with 3 tracks. Relationships, CDE018, 3 audio CDs with a total of 17 tracks. 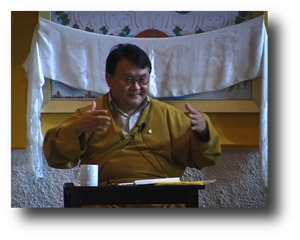 Dharma, Love and Relationships, Rigpa Link October 2009, CD/DVE728, an audio CD or DVD with 5 tracks. For your information: 11 of the 18 videos downloadable on this page for free come from the 3 ZAM releases mentioned above.